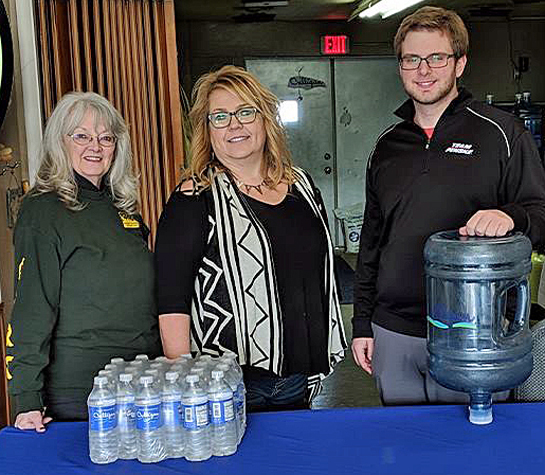 The Van Wert County Community Emergency Response Team (CERT) recently received a generous donation of water for first responders from Culligan Water in Van Wert. Shown are CERT members Trena Proffitt and Matt Saunier, as well as Culligan Store Manager Lori Harrod. “It is an absolute pleasure to be able to help assist our first responders on an emergency scene through our donation to CERT,” Harrod said. “We look forward to helping this organization out as we can.” Other businesses wanting to assist CERT can call 419.623.1095.